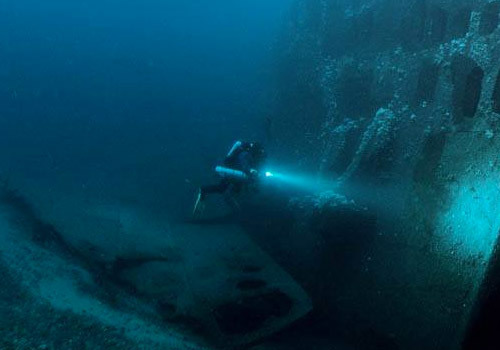 The intent of this diving course is to provide the divers with training to plan and conduct dives at a maximum depth of 40m (or 45mt with trimix 21/35 diluent) with a limited decompression of 25 minutes using thinner air. 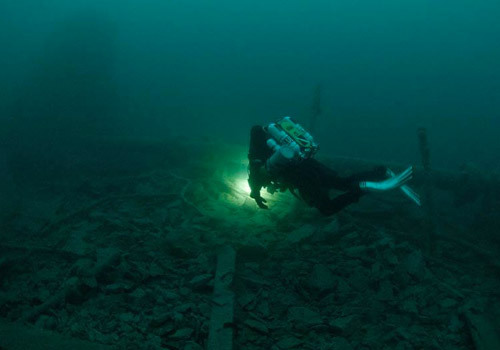 Dives will be carried out with a safety cylinder (bailout). 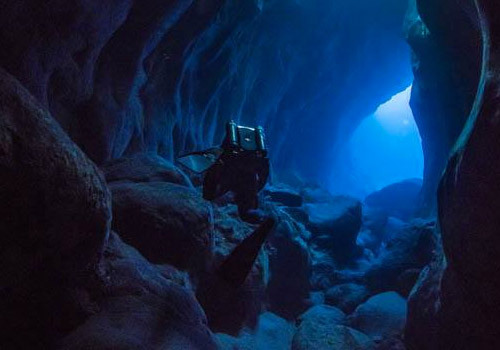 This program and the one described above can be jointly taught in one course to scuba divers in possession of technical patents that enable decompression. 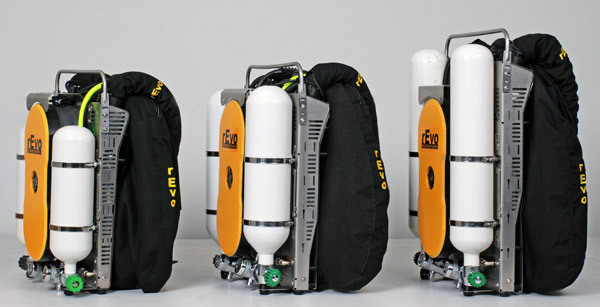 It can be accessed after accumulating 50 dives with the rEvo unit, it is to train the diver to plan and conduct dives up to 60mt with diluent trimix and two bailout tanks with a maximum decompression time of 60min. 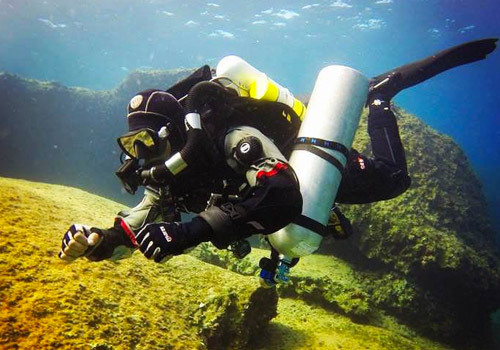 All dives will be carried out with two safety bottles (bailout). 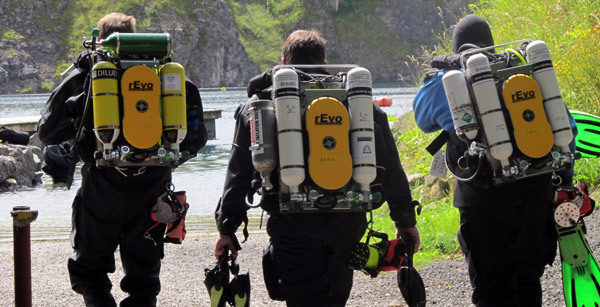 Upon graduation from this course you will be able to safely plan and execute decompres- sion dives to 40m with Air as a diluent gas while using the rEvo CCR. – Theory rEvo Scrubber Rotaion, System Build-Up of the rEvo, Use of the rEvodreams, maintenance and use of the Shearwater computer/controller, changing batteries in the rEvodreams, and controllers. 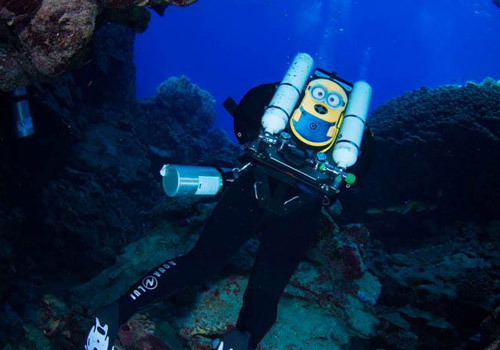 Dives: Your course will also include open water dives where you will learn the skills needed to be- come a safe rebreather diver. Together we will practice skills including: Minimum Lung Vol- ume, dumping Gas from loop, manual diluent flushing, full vertical flush, oxygen addition, breathing in different positions Mask Clearing and Removal, DSV Removal and Replace- ment, bailing out to open circuit SCUBA, controlled ascent/descent, boom drills, hypoxic, hyperoxic and hypercapnia drills water removal from hoses, and more.